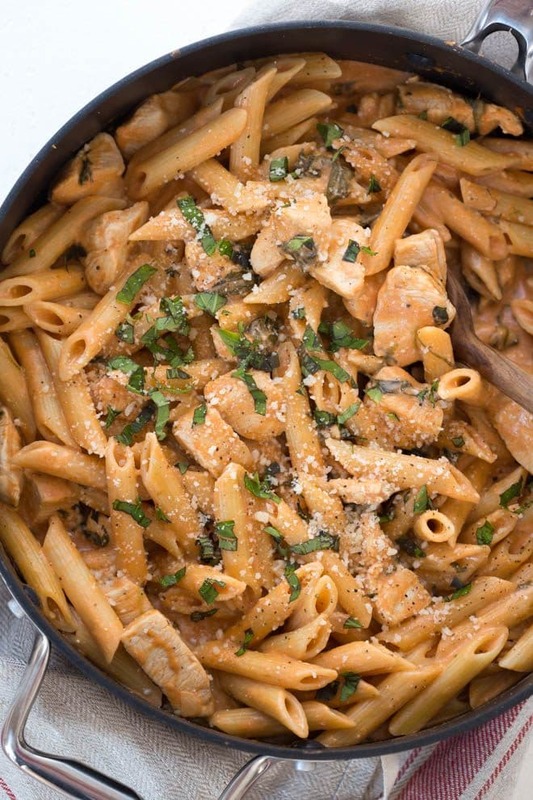 One Pot Creamy Tomato Pasta with Chicken and Spinach comes together in 35 minutes! 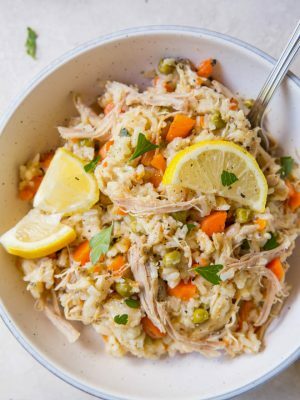 The entire meal cooks in one pot and creates a dish that kids and adults love. Fall is here! 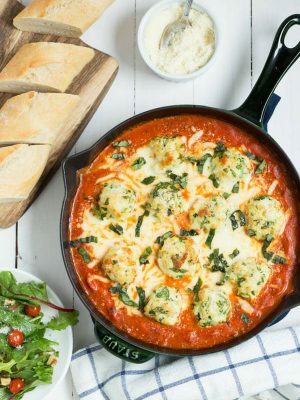 With the cooler weather, I’m always craving comforting meals that my entire family will enjoy. 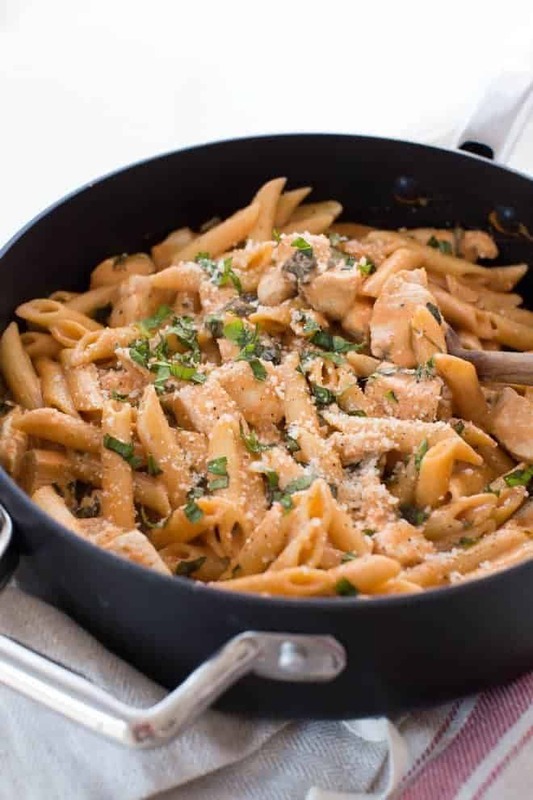 One Pot Creamy Tomato Pasta with Chicken and Spinach is a tasty meal that can be enjoyed any day of the week. 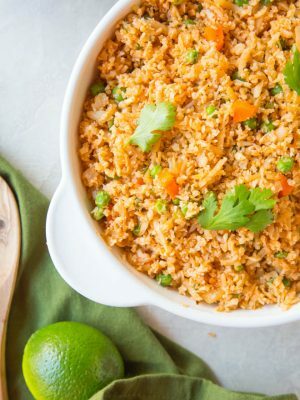 It cooks in one pan with easy to find ingredients. 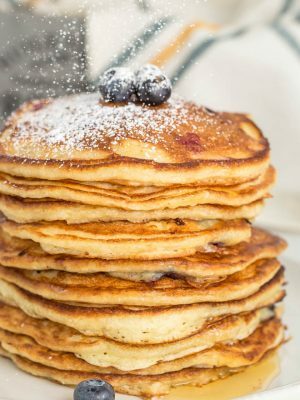 I bet that you already have all of the ingredients on hand to make it. 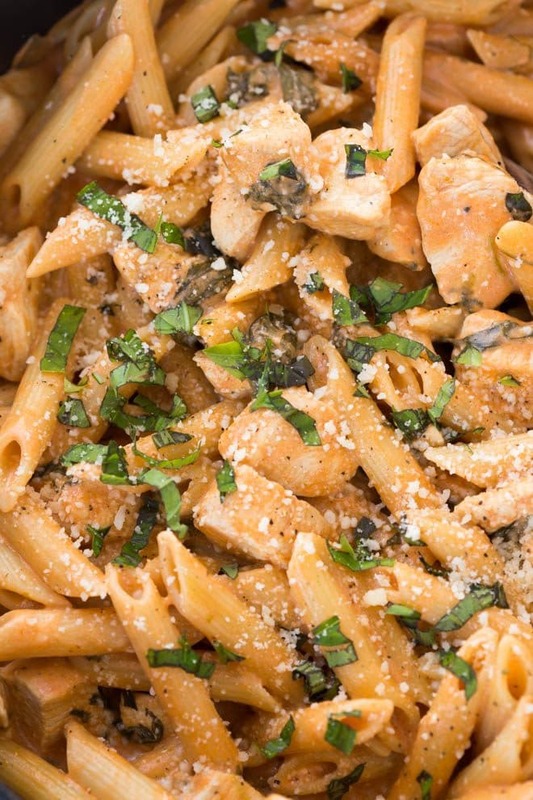 Cream cheese is the secret ingredient in all of my creamy pasta dishes. 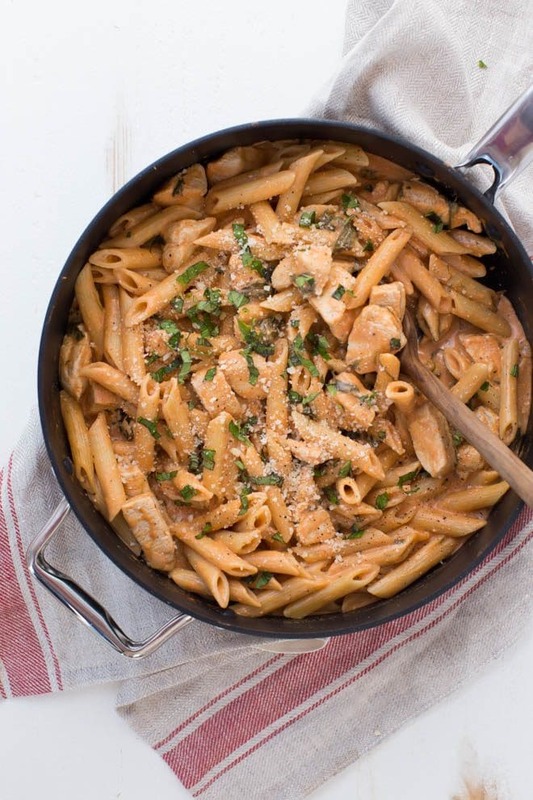 It is combined with Parmesan cheese in this pasta dish to create the perfect amount of cheesy flavor. Of course I packed in plenty of greens too. Best of all, the pasta reheats well. Make it for dinner and then enjoy it as leftovers for lunch. 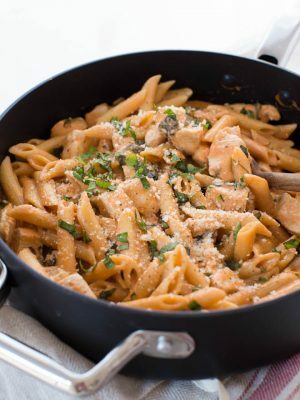 The pan featured in this recipe is a T-fal ProGrade Titanium Nonstick Thermo-spoy sauté pan. It makes cooking this one pot weeknight meal even easier. To save even more time, chop the onion and cut the chicken into small pieces ahead of time. When you are ready to cook, add the ingredients to the pan according to the instructions and enjoy a flavorful meal. In a 12" pan or skillet, heat olive oil over medium heat. Add onions and stir until soft, about 3 minutes. Stir in garlic and cook one additional minute. Add chicken to pan and cook until brown on both sides. Add uncooked pasta, chicken broth, tomato sauce and spinach. Stir then bring to a boil. Reduce heat to low, cover and simmer for 22 minutes. Uncover and cook until almost all of the liquid is absorbed, about 5 additional minutes. Remove from heat, stir in cream cheese and Parmesan cheese. Stir until cheese is melted. Garnish with basil and serve immediately. Enjoy! This meal tastes great as leftovers. Store in a sealed container in the refrigerator for up to 3 days. Reheat just prior to serving. I did it w out spinach and it was so delicious. No left overs! When you say grated cheese do you mean grate your self type of the kind from a can? I never know 🤦🏻‍♀️ I used the van kind last time but I would like to know the true way! Thanks!! Hi, Jodi! I'm so glad to hear you loved this even without the spinach. 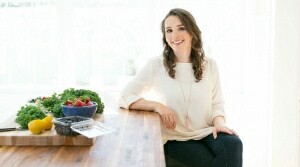 For the cheese, you can grate it yourself or use store-bought. Either way works. I try to buy the freshest grated cheese that I can find. Freshly grated cheese results in better flavor but any kind will work. Thanks again for your feedback! OMG! 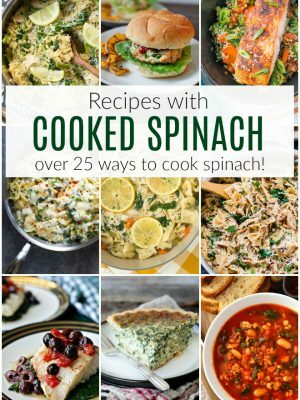 Combination of spinach and one-pot pasta. Definitely gonna give this recipe a try. Thanks so much, Ashley! This is awesomely awesome. I can feel the aroma of this Pasta from here only. Loved the color and recipe. 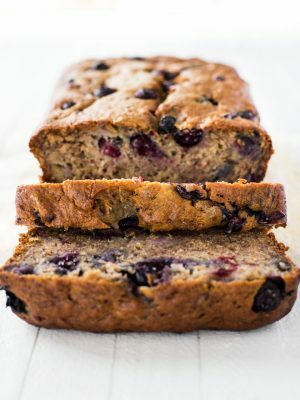 Thanks for sharing this recipe with all of us dear. Will try this recipe asap. Best wishes and regards. I hope you enjoy it, Supriya! 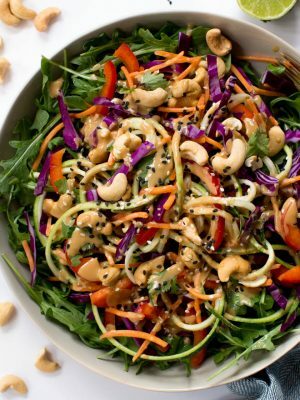 I have to try making this for dinner! I'm all about one pot meals! You can't go wrong with one pot meals! 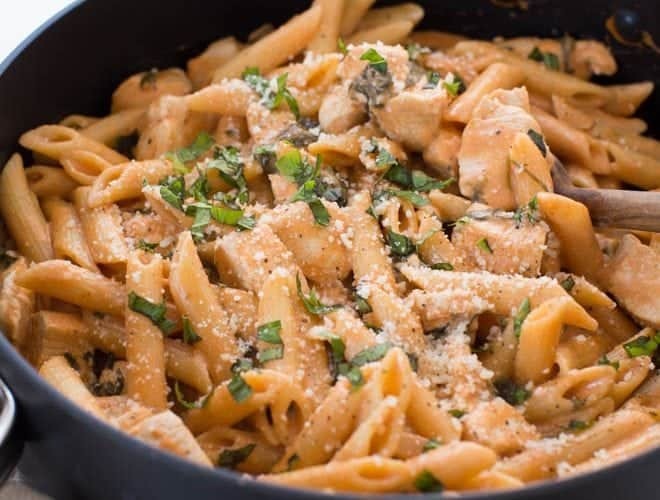 This pasta looks amazing!! Thanks for sharing!!! 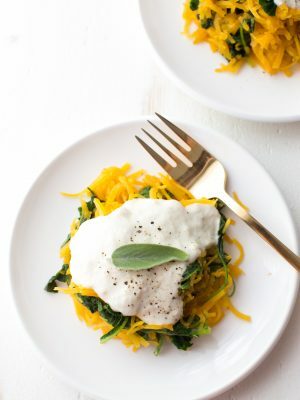 Yesss this is my ideal fall weeknight dinner! Easy dinners are always winners!